Now you can find out what happened to all those vikings you killed in For Honor. Zombie Vikings first stepped into our lives back in the Fall of 2015 on PlayStation 4. Later that year, it made the logical step to the Personal Computer, and a few months past that, the crew at Zoink Games announced that they'd be bringing their co-op brawler to the Xbox One. Then, as though mimicking the monks of old, the developers sequestered themselves into what I can only imagine is a mountainous cavern system which can only be entered by crawling through a stone etching of Odin himself. 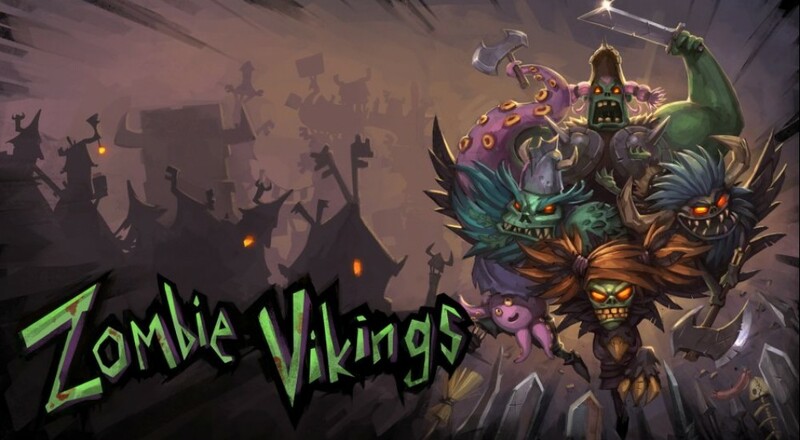 They've just re-emerged, if not for a bit of fresh air, then at least to announce that Zombie Vikings has been released on Microsoft's home console. If you're curious just what Zombie Vikings is all about, we reviewed it back when it was first released on PlayStation 4. In essence, you and up to three friends command a cadre of undead warriors as they seek to retrieve the eye of Odin from the trickster, Loki. Throw in a bit of goofy humor and you've got yourself a game. So, have you dipped a toe into those cold, Norse waters? Has the game benefited from its new home? Let us know in the comments!